Slot machines are not games of strategy. Live casinos and online casinos offer them as games of pure chance. Only rarely does skill come into play, although skill-based slots loom as a coming attraction.On most slot games, there’s nothing you can do to change the outcome. So how do you go about maximizing slots payouts, preferably while minimizing losses? Maximizing returns does not mean making a long-term profit on the slots. The house edge is not as flexible as in games with strong skill elements such as blackjack or video poker. These strategies are more a matter of giving yourself a chance at some nice wins, while recognizing that in games of chance with a house edge, losing sessions are part of the game. SHOULD YOU BET MAXIMUM COINS? Live casinos long encouraged players to bet maximum coins on slot machines, and players have long wondered if that was really to their advantage. The answer depends on what kind of machine you’re playing. On most live slots with three-mechanical reels, you get a higher payback percentage by betting max coins. On most video slots, including live slots and video slots, covering all the paylines with a minimum bet per line yields the same percentage as betting the max. Let’s look at the situations separately, with three-reel mechanical games first. On most three-reel slots with mechanical reels, you do get a higher payback percentage if you bet the max. But it might not be worthwhile to bet extra to get that higher percentage. To see why, let’s first look at the basic types of mechanical-reel slot machines. 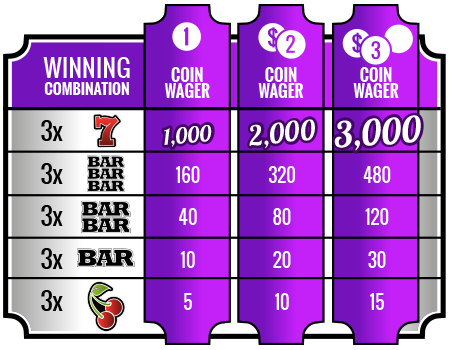 On a multiplier game, each win is proportional to the number of coins or credits wagered. Payoffs are proportional to wager size, so betting three coins brings payoffs exactly triple payoffs for betting one coin. With that format, the payback percentage is the same no matter how many coins you bet. There is no incentive to bet the max built into the pay table Pure multipliers are rare in casinos on slots with three mechanical reels, though many video slots and five-reel mechanicals are pure multipliers in the non-bonus, reel- spinning portion of the game. Most three-reel mechanical slots give you an incentive to bet maximum coins by including a big jump in the top jackpot. Like the pure multiplier, this game has proportionate payoffs through most of the pay table. However, there is a disproportionate jump in the top jackpot when you bet three coins. Three 7s pay five times as much when you bet three coins as when you bet one. That has the effect of giving the game a higher payback percentage when you bet max coins. Three-reel progressives are this type of game, amped up with a growing jackpot. You have to bet the max to be eligible for the jackpot. To see how the effect this has on payback percentages, let’s imagine the above pay table on a $1 game that returns 95 percent when you bet the max and in which the odds lead to the top jackpot hitting about once per 20,000 plays. If you bet the max, then per 20,000 plays, you’re betting $60,000. A 95-percent payback means that on average, you’re getting $57,000 back. Of the $57,000 in returns, you get $5,000 from the jackpot and $52,000 from the smaller pays. If you bet only one coin, then per 20,000 plays, you’re betting $20,000. The smaller pays are proportionate, so you get one-third of $52,000, or $17,333. The one-coin bet brings a jackpot of only $1,000 on your one 7-7-7 hit. That brings your total payback to $18,333. To calculate payback percentage, divide your $18,333 in returns by $20,000 in wagers, then multiply by 100 to convert to percent. That shows a payback percentage of 91.7 percent. Bottom line: If you bet the max, this machine returns 95 percent. If you don’t, it returns 91.7 percent. Betting the max doesn’t make the jackpot come up any more or less often than if you bet fewer coins. However, the normal odds of the game, coupled with the disproportionate pay table, make the payback percentage higher if you bet maximum coins. On multipliers with disproportionate jackpots, you get a higher payback percentage if you bet max coins. Does that mean you should always bet the max? Let’s do a little arithmetic. The machine detailed under multipliers with modified jackpots returns 91.7 percent to players who bet one coin. Per 1,000 plays, one-coin wagers bring a 917-coin return. The house keeps 83 coins. If you bet three coins per play, the payback percentage increases to 95 percent. Per 1,000 three-coin bets, you get back 2,850 coins. The house keeps 150. Even though you’re getting a higher payback percentage, your average losses are higher because you’re risking a lot more money. Just how big the difference in percentages and average losses differ from game to game, but you need to weigh the larger risk when weighing whether to bet more to get a higher payback percentage. On buy-a-pay slot, each coin wagered unlocks a portion of a game’s potential pays. On some, it’s as simple as three pay lines across the reels, so that you win only on combinations across the center reel if you bet one coin, also win on the top line if you bet two, and add bottom line wins lines if you bet three coins. Since the winning combination is on the third line, you would get the three 7s winner only if you bet maximum coins. Other buy-a-pays unlock paying symbols with each coin wagered. If you line up three bars but have wagered only one coin, you do not win. Likewise, if you line up three 7s and have bet only one or two coins, you get back nothing. Do not play a buy-a-pay if you are not willing to wager enough to unlock all the symbols. The last thing you want is to see the three jackpot symbols line up when you haven’t bet enough to unlock them. I’ve seen it happen. A woman playing across the aisle from me saw the jackpot symbols line up. She started screaming and her friends surrounded her, offering hugs and congratulations. And then … nothing. No lights, no music, no money. It was just a losing spin. You don’t want to be that player. On a buy-a-pay, you either bet the max or don’t play. The number of coins you wager makes no difference to the payback percentage if the game you’re playing is a pure multiplier. However, if you can’t bet max coins on a buy-a-pay or most progressive games with mechanical reels, you should find a different game. SHOULD YOU BET THE MAX ON VIDEO SLOTS? The situation is different on five-reel video slots. Paybacks are proportional to coins wagered per payline on these games, with no jackpot jump for betting the max. In order to give easy examples and streamline the math, this game is simplified from the pay tables you actually see in casinos. Casino games often use more character symbols and also often use generic symbols such as A-K-Q-J-10. Many video slots also include more than one bonus event. Despite the simplification, there are many more possible winning combinations than on the three-reel slot. Even two in a row of the top-paying symbol brings some payoff. As set up, this game with 20 paylines and a five-coin maximum bet per line would have a maximum total bet of 100 coins. Games you’ll find in casinos often have much higher maximum bets, such as 20 coins per line on a 20-line game, or 10 coins per line on a 40-line game, for a total of 400 coins. The pay table is proportional from to bottom, so betting maximum coins does not increase payback percentage. That is typical on video slots. On the video slot game illustrated above, there is no pay table incentive to wager maximum coins per line. However, it might be to your advantage to make sure you bet on every payline. Why? 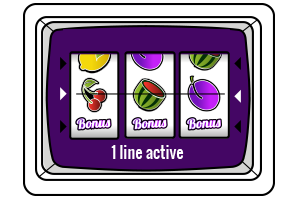 Because on some machines, the bonus symbols must land on an active payline for you to be eligible for the free spins, wheel spin, pick-a- symbol round or whatever other special event has been designed into the game. You decide to bet a single coin. That activates only the center payline. You go to the bonus event if three bonus symbols land on the center line, since that line is active. However, if the reels land on any line you have not activated, you do not go to the bonus. Time spent in bonus events is time you spend building credits without making extra wagers, so you want to maximize your chances of going to the bonuses. To maximize slot machines payouts, make sure you’re eligible for the bonuses offered. Some newer games avoid the issue by eliminating the option to play fewer paylines than available. A 40-line game might have buttons labeled “Bet 40,” “Bet 80,” “Bet 120,” “Bet 160,” and “Bet 200,” giving you options to bet one, two, three, four or five credits per line, but no chance to play only one line. In the slot industry, these are called “forced bet” machines. On mechanical-reel slots that don’t have pure multiplier pay tables, you get the highest payback percentage by betting maximum coins. A disproportionate leap in the top jackpot is the most common incentive for betting the max on three-reel games. Getting the highest payback percentage for betting the max doesn’t mean average losses are lower because bigger bets bring more risk. On most video slots, betting the max does not increase payback percentage. Covering all paylines, even with minimum coins per line, is important on video slots, especially if bonuses require symbols to land on an active payline. Betting maximum coins on three-reel slots and making sure to cover all the paylines on video slots are methods for insuring maximum payback percentage, but they can’t overcome the house edge entirely. Odds of the games are set so the house will make money, no matter what your bet size, and regardless of whether you are playing in a live casino or online casino. It’s only natural that some players would try to turn that edge around. Scouting top jackpots, especially on three-reel games, to find those that are larger than usual. 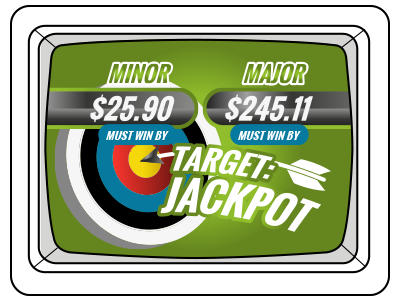 Scouting “must hit by” slots, which advertise that jackpots must hit by a certain amount. These are not fool-proof methods, for several reasons. Scouting is a time-consuming business, especially live slots. Players don’t have the necessary information to know if a jackpot is big enough to give players an edge. On most games, results remain random and you are no more likely to win than if the jackpot is small. When you play linked progressives, there’s always the possibility that another player on a linked machine will win the jackpot you scouted. However, if you play progressives only when the jackpot is high, your payback percentage rises. You may not be able to overcome the house edge, but skipping low jackpot times means you’re always playing for a higher than average pay table. Progressive slots start each jackpot with a base amount, and the jackpots build with each bet thereafter. A player who scouts progressives will not play when the jackpot is at that minimum level. Instead, the jackpot hunter does some scouting and charting in an attempt to determine an average payoff when the jackpot hits. The jackpot hunter keeps a record, whether in a computer file, a diary or on scraps of paper. A diary entry might look like this. The player who is serious about scouting must make frequent visits to check jackpot levels. If a jackpot has hit since the last visit, the serious scout asks a slot attendant or supervisor if they know the payoff size. Some casinos put photos of recent winners and their jackpot amounts on a wall. Sometimes, the jackpot entry will have to be an estimate based on the last previous known level. More data collected over a longer time is better. In this case, the jackpot scout would regard the low jackpot of $5,981 as an outlier. He’d see that all other jackpots were at least $7,888, with most over $8,000. Therefore, he wouldn’t start playing until the jackpot reached at least $8,000. That doesn’t guarantee profit, but does mean he’s playing games with a higher payback percentage than if he played when the jackpot was $5,000. Players have no way of knowing a game’s targeted payback percentage, nor is there any way to know how much the top jackpot contributes to the overall return. However, we can make up a realistic example to see how this work. 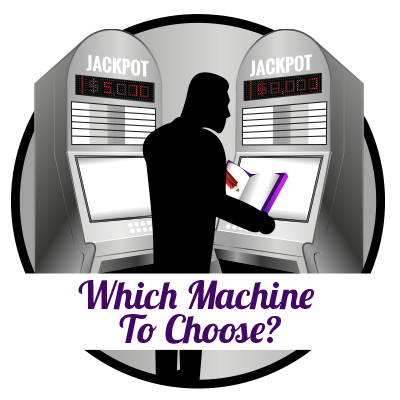 Our hypothetical game is a $1 machine that returns 92 percent when the jackpot is at the base value of $5,000. Non-progressive dollar slots typically pay a little more than that in the U.S., but progressives start at lower returns while the building jackpot also increases the percentage. Of that 92 percent return, let’s say 87 percent comes from smaller wins, and 5 percent from the jackpot. So per $100,000 wagered, you would get back $87,000 in smaller pays and $5,000 from the jackpot, for a $92,000 total. But if the jackpot hunter doesn’t play until the big payoff is $8,000, he’s paying a game with a different payback structure. In that case, per $100,000 wagered, he’d get back $87,000 in smaller pays and $8,000 from the jackpot, for a total of $95,000. That makes the payback percentage 95 percent. Buy delaying play until other players have built the jackpot, he’s playing a machine with a higher payback percentage. You do play for higher payback percentages if you reserve your play for times when the jackpot is high. Even at seemingly high jackpot levels, that payback percentage rarely reaches 100 percent. There’s one more factor to consider: Higher jackpot levels don’t make the jackpot occur more often. If the odds of the game are set so the top jackpot will hit once per 20,000 plays, the odds of it hitting ALWAYS are 1 in 20,000. It doesn’t matter if the jackpot is $5,000, or $15,000, something higher or something in between. The odds are the same on every play. It doesn’t matter if someone hit the jackpot on the last play, or if it’s been 100,000 plays since the last jackpot. If the odds were 1 in 20,000 on the first play, they’re still 1 in 20,000 on the next one. And to underscore a point made earlier, the casino doesn’t post a machine’s payback percentage. On any specific game, we don’t know the odds that go into determining how often a jackpot hits. Bottom line: If you want to use jackpot scouting as a way to play for higher payback percentages, great. 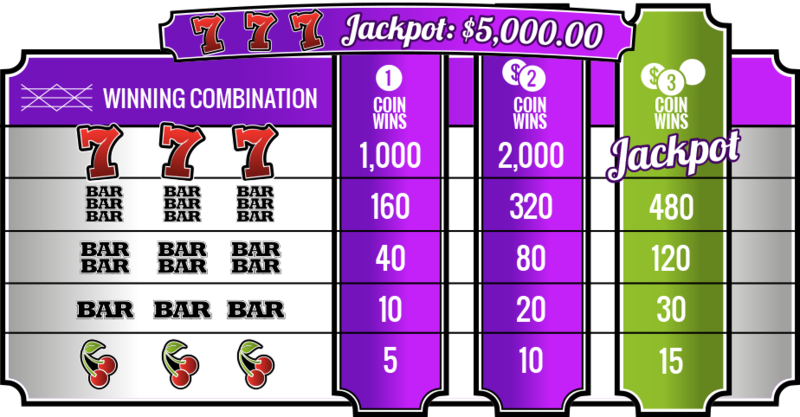 These are mystery jackpots, of the type detailed in Chapter 6.2: Minimum Bettors Can Play for Maximum Jackpots. The jackpots are separate from the main game. You still spin the video reels, collect on winning combinations and launch bonus events. If you want your scouting to give you an edge over the casino, that’s not likely at all. You collect a jackpot when your wager pushes the total to an amount selected by a random number generator. Let’s say the base jackpot on a hypothetical game is $200 and must be awarded by $500. The RNG selects an amount between those two values. If the percentage of your bet that’s added to the jackpot pushes it to that total, you win. The payoff isn’t driven by symbols, and the outcome of your spin doesn’t matter. The machine will just tell you you’ve won the jackpot. All amounts have an equal chance of being selected by the random number generator. However, the closer the jackpot is to the “must win by” amount, the better your chance of winning on the next play. The reason is that the possibilities narrow as possible jackpot amounts are left behind. The possibilities are in 1-cent increments so between $200 and $201 there are 100 possibilities — $200.01, $200.02 and so on. With a $300 difference between the base and the maximum, that means the RNG has 30,000 possible jackpot totals to choose from. If your bet increases the jackpot to $200.01, there is a 1 in 30,000 chance that is the jackpot amount. However, if your bet increases the pot to $201.01, then 100 amounts already have been eliminated, and the chance of your bet triggering the jackpot improves to 1 in 29,000. The closer the total is to “must win by” amount, the better your chances of winning the jackpot. About half the jackpots will hit for less than $350, and about half will hit for more than $350. However, there are so many possible jackpot totals that you almost always are a sizable underdog. Keep that in mind if you decide to scout the “must win by” slots. Waiting to play progressives until jackpots are at higher levels will yield a higher payback percentage. However, playing for bigger jackpots is not necessarily a profit opportunity. In most cases, the house still has an edge. The reason you can’t say “never” on the slots are games with banked bonuses, though they are rare today. Credit awards that build until a player wins. Games with objects to collect to trigger a bonus award. The key to profit opportunity is that partially completed bonuses remain in play for the next player. If each player starts anew in building toward a bonus, you can’t get an edge. These games were hot commodities in live casinos in the late 1990s and early 2000s, but have largely faded from the scene. They are occasionally found in live casinos that have older equipment on their floors. Games that build toward bonuses can be found in online slots, but there is no carryover from one player to the next. Banked bonus games are included here mainly as an example of profit opportunities on the slots and how to recognize them. The prototype banked bonus with building awards game was Piggy Bankin’, a 1996 slot from WMS Gaming. The base game was a three-reel mechanical slot, but the top box had a Dotmation screen. On the Dotmation screen, orange dots on a black screen formed an image of a piggy bank, with a credit amount on its side. The starting value in the bank was 10 coins. Each time three blank spaces landed on the payline of the main game, a coin was added to the bank. When the break the bank symbol landed on the payline, a Dotmation hammer smashed the bank, and animated coins came flying out. The player collected the number of coins in the bank. Sharp players soon figured out that if they waited until enough coins were in the bank, they could have an edge on the game. A published report by mathematician and gambling expert Stanford Wong suggested the break-even point was 15 coins. Players hunting for an edge would play Piggy Bankin’ only when there were 15 or more coins in the bank. They would play until they broke the bank, and then leave the machine. Profits were never large using that method. It was a matter of padding your bankroll by a few dollars, then moving on. Should you see a game with a credit-building banked bonus today, that’s how to approach the game. Look for the machine with the most coins to be awarded, and play only until you win that award. In the peak time of banked bonuses, games of collecting objects outnumbered building-credits games. Today, if you see a banked bonus game, it’s likely to be a banked bonus game – S&H Green Stamps seems particularly long-lasting, even though it was introduced in 2004. These collection games were born with Silicon Gaming, one of the first companies devoted entirely to video slots. Silicon Gaming’s signature Odyssey slots, released in 1997, featured an elongated, high-definition video screen with icons to choose from among multiple games. Odyssey slots were the first with hard drives and had high-quality animation. The games were more like traditional three-reel slot games than the pick’em bonusing games from other manufacturers. However, banked bonuses were a feature starting with the initial Odyssey release, which included a game called Fort Knox. In addition to three video reels, Fort Knox included a 10-digit code. During play on the reels, you could collect code digits. There was no skill in collecting the digits, nor were there choices to make. You’d just collect digits at random times. With each digit collected you would be one step closer to cracking the code. When you had all 10 digits, the screen would change to animation of the door to the vault at Fort Knox. The door would swing open to reveal all the gold, and a credit amount for your bonus payoff. Before long, players learned to scout for machines where the code had been partially solved by other players. If a game was available with five or more digits already solved, players had an edge. At that point, those playing for profit would play the game until they opened the vault, then leave and let someone else solve the early digits. Silicon Gaming produced a number of such banked bonus games. Another was called Buccaneer Gold. 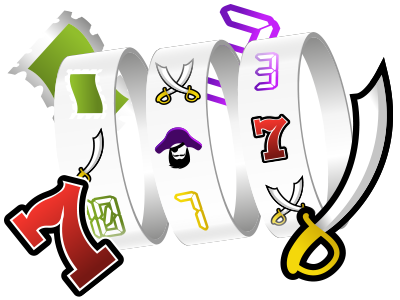 In the pirate-themed Buccaneer Gold, instead of collecting code digits, you collected daggers. Each time a dagger appeared on the reels, a dagger would be stuck into a pirate ship’s rail. When you collected five daggers, you won a bonus award. This time, the magic number was three. If you found a machine with three daggers already in the rail, you had a profit-making opportunity. Other gamemakers also produced banked bonus collecting games. International Game Technology went that route with its Vision Series, which put a bonus screen in the top box of mechanical-reel slots. One Vision Series game was called Racing 7s. Three 7s – one red, one white and one blue – were on a track divided into segments. Each 7 had a credit amount associated with winning the race. In the highest-paying version, the red 7 could win 100 credits, the blue could win 25 and the white could win 10. Each time a 7 landed on the payline of the main game, the 7 of the same color would move up one notch on the track. When your spin took a 7 to the finish line, you won the prize for the 7 of the indicted color. The trick was to look for machines with 7s within two notches of the finish. If you could find a higher-paying red 7 near the finish, so much the better. Bally Technologies had S&H Green Stamps, which still occasionally is spotted in casinos. The object is to fill a book with the trademarked Green Stamps. It takes 1,200 stamps to fill a book. When stamp symbols appear on your video reel spins, stamps are transferred to the book. Some symbols put one stamp in the book, some two, and on up to 50-stamp symbols. In the onscreen book, you see spaces for 12 stamps. Each represents 100 stamps collected. That’s an easy visual shortcut, but the actual number of stamps also is displayed on the screen. If you spot four stamps in the book, you know immediately at least 400 stamps are collected. Then if you look for the number you might find the actual total is anywhere from 400 to 499. If you spot a game with at least 600 stamps already collected, you have an edge. That’s when to start playing. When you fill the book by reaching 1,200 stamps, you’re given the option of taking free spins or starting another book. Always take the free spins. Leave the early stages of filling a book to someone else. You’re rarely going to encounter banked bonus collecting games today. When you do, choose machines where other players have taken you at least halfway toward completing the collection. Banked bonus games involve either building a credit award onscreen or collecting objects through reel spins to reach a specific target. Players can get an edge on banked bonus games if the credit award is large enough or players have left a game with at least half the required objects already collected. Banked bonuses are rare today. If you spot one, play if others have partly completed the collection, but don’t play if the collection is just beginning. Is it more important to bet maximum coins on mechanical-reel slots or video reel slots? What is a buy-a-pay slot? True or false: Slot machines’ payback percentage always is higher when you bet maximum coins. Does getting the highest payback percentage always minimize losses per hour? If video slots require bonus symbols to land on an active payline to trigger the bonus event, should you always bet max coins? Scouting jackpots on slot machines usually can: A. Give you an edge on the games. B. Increase your payback percentage. C. Bring you more frequent jackpots. D. All of the above. E. None of the above. True or false: Determining a profit point on progressives would require knowing a base payback percentage and the proportion of payback that comes from the jackpot, and that information is not available to players. On “must win by” slots, do you have a better chance of winning when the jackpot level is higher or lower? What is a banked bonus game? Is it possible for players to get an edge on banked bonus games? It is more important to bet maximum coins on mechanical-reel slots because pay tables usually feature a disproportionate jump in the top jackpot for a max coins bet. Video slots usually don’t feature that jump. A buy-a-pay slot is a game in which increasing your bet unlocks winning symbols. Don’t play buy-a-pays unless you’re prepared to bet enough to unlock all symbols. False. Slot machines’ payback percentages don’t always rise when you bet maximum coins. If payoffs are strictly proportional to your bet size, the payback percentage is the same no matter how much you bet. No, getting the highest payback percentage always minimize losses per hour. On games where betting the max brings a higher payback percentage, the bigger bets bring more risk and can mean higher losses per hour. No, if video slots require bonus symbols to land on an active payline to trigger the bonus event, you don’t necessarily need to bet max coins. You should, however, bet enough to unlock all paylines to make sure you’re always eligible for the bonuses. B. Scouting jackpots on slot machines usually can increase your payback percentage, but not give you an edge on the games or bring you more frequent jackpots. True. Determining a profit point on progressives would require knowing a base payback percentage and the proportion of payback that comes from the jackpot, and that information is not available to players. On “must win by” slots, you have a better chance of winning when the jackpot level is higher, because some potential winning totals already have been eliminated. 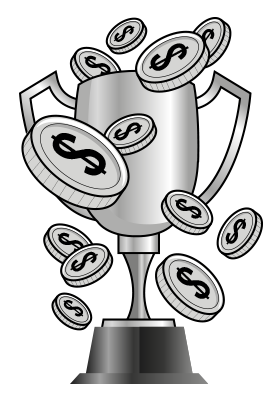 A banked bonus game is one that gives players a target to shoot for, either with bonus awards that increase until a bonus trigger lands on the payline or by giving players objects to collect to trigger a bonus event. Yes, it is possible for players to get an edge on banked bonus games, when other players have increased the credit award enough or have collected enough of the bonus trigger objects.